High levels of β-carotene, lycopene, and the rare γ-carotene occur predominantly lipid-dissolved in the chromoplasts of peach palm fruits. First proof of their absorption from these fruits is reported. 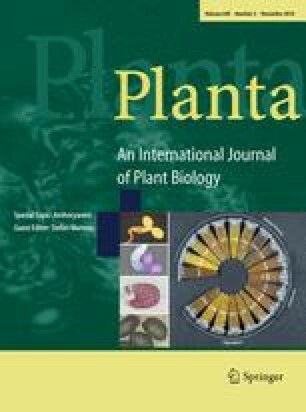 The structural diversity, the physical deposition state in planta, and the human bioavailability of carotenoids from the edible fruits of diverse orange and yellow-colored peach palm (Bactris gasipaes Kunth) varieties were investigated. HPLC–PDA–MSn revealed a broad range of carotenes, reaching total carotenoid levels from 0.7 to 13.9 mg/100 g FW. Besides the predominant (all-E)-β-carotene (0.4–5.4 mg/100 g FW), two (Z)-isomers of γ-carotene (0.1–3.9 mg/100 g FW), and one (Z)-lycopene isomer (0.04–0.83 mg/100 g FW) prevailed. Approximately 89–94 % of total carotenoid content pertained to provitamin A carotenoids with retinol activity equivalents ranging from 37 to 609 µg/100 g FW. The physical deposition state of these carotenoids in planta was investigated using light, transmission electron, and scanning electron microscopy. The plastids found in both orange and yellow-colored fruit mesocarps were amylo-chromoplasts of the globular type, containing carotenoids predominantly in a lipid-dissolved form. The hypothesis of lipid-dissolved carotenoids was supported by simple solubility estimations based on carotenoid and lipid contents of the fruit mesocarp. In our study, we report first results on the human bioavailability of γ-carotene, β-carotene, and lycopene from peach palm fruit, particularly proving the post-prandial absorption of the rarely occurring γ-carotene. Since the physical state of carotenoid deposition has been shown to be decisive for carotenoid bioavailability, lipid-dissolved carotenoids in peach palm fruits are expected to be highly bioavailable, however, further studies are required. We thank Erika Rücker (Institute of Botany, Universität Hohenheim) for supporting transmission electron microscopy. J.H. is grateful for a travel grant by the fiat panis Foundation (Ulm, Germany). We also thank the Alexander von Humboldt Foundation (Bonn, Germany) for partially funding this study in the frame of the Research Group Linkage Program.